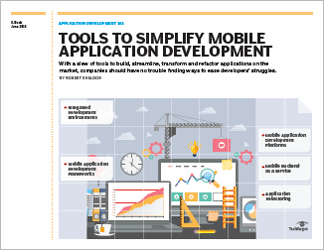 This chapter is included in the Intro to enterprise mobile app development E-Book. Developers build apps and IT manages them. That's that, right? Not in the mobile world. IT administrators must be involved in mobile app development so they can properly manage and secure apps when they make it to production. 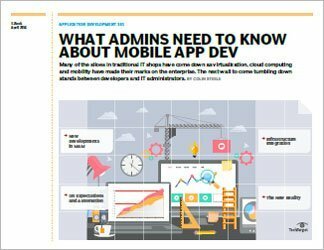 Even in the mobile, DevOps world, admins need some knowledge of APIs and software development kits so they can understand how enterprise mobility management (EMM) works. 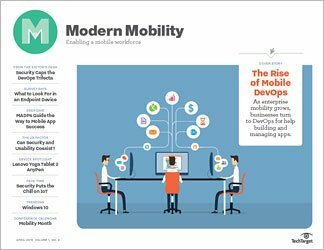 Shops that want to use mobile application management must make sure their tools can actually get into the applications and manage them. Being able to speak development also helps administrators communicate with developers more effectively. This ensures developers build mobile applications that users truly need with hooks so IT can manage them. 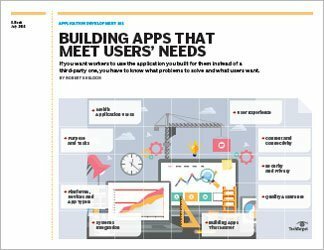 This team-based approach to building, delivering, maintaining, updating and troubleshooting mobile applications is here to stay, so admins and developers should prepare to get chummy.